Deb brought this piece to The Pink House for a recent workshop. 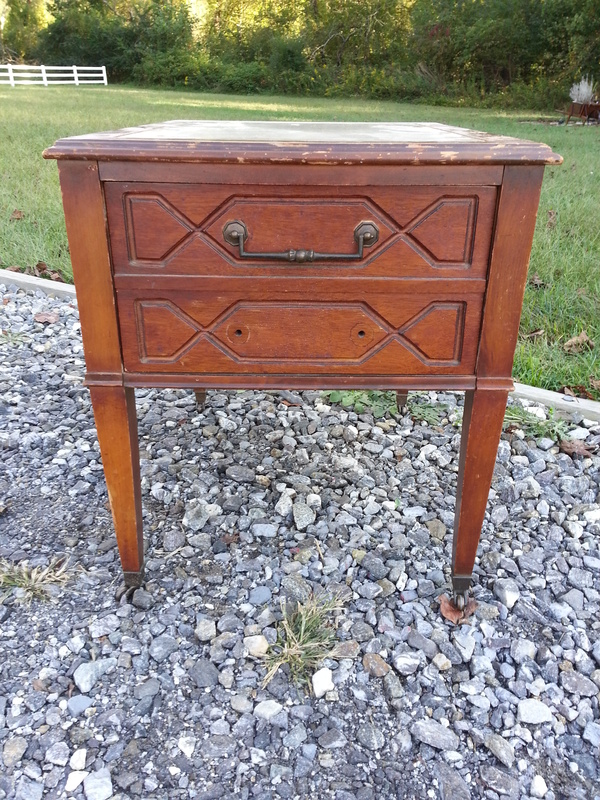 It has a marble top and all hardware was intact. One handle had been removed when this photo was taken. 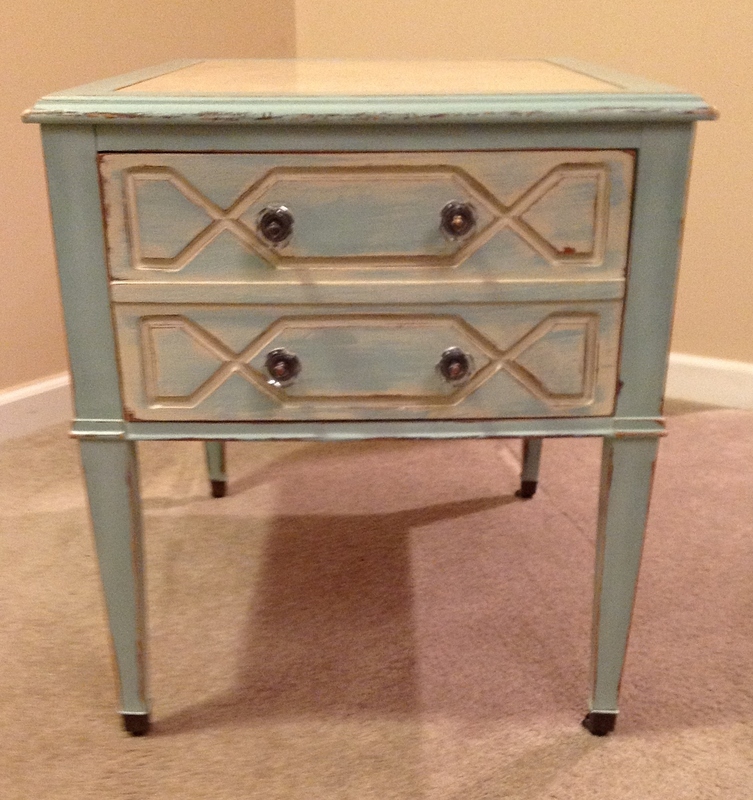 Deb used Country Grey under the Duck Egg on the drawer fronts and distressed back to reveal the soft color of Country Grey. The color she picked look great with the marble top. Deb considered painting the marble top with Chalk Paint® but the color complimented the marble very well.